Search, compare and book for Campervan Hire in Sydney. We Guarantee the Best Rental Prices in Sydney - if you find cheaper, let us know! Looking to Hire a Campervan in Sydney? Often the entry point for many travellers to Australia, Sydney is considered to be the nations premier city. Indeed it is impressive in both its beauty and in it's rapid expansion since the 2000 Olympics. Like Melbourne, it is a melting-pot of cultures - with up to 40% of its inhabitants having been born overseas. Radiating from the sparkling waters of Sydney Harbour, Australia's biggest city is knitted together from the shores of the Pacific to the feet of the Blue Mountains. 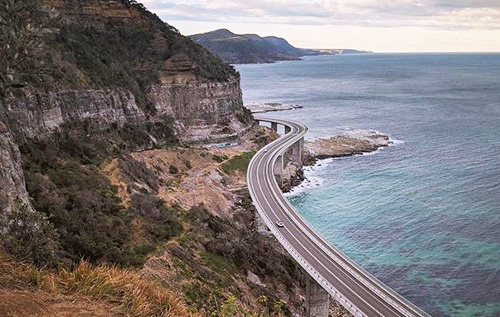 And best of all, Sydney has a huge selection of budget & premium campervan, motorhome and 4WD Hire companies to choose from - meaning if you start your trip here, you will most likely get the best rental deal. Sydney is blessed with a warm, sunny climate, often described as Mediterranean, making it possible to enjoy the campervan life all year round! The driest time of year is spring, with autumn the wettest season. Summers are hot and humid, with temperatures often in the mid-30's, while winters are cool and mostly dry, usually around 15-17 degrees celcius. This one-time prison settlement has grown up to become the most recognised city in Australia. Proud parent to the iconic Sydney Harbour Bridge and Sydney Opera House, the city effortlessly attracts more than two million visitors per year. Along with outstanding natural assets - stunning beaches, extensive parklands and the beautiful harbour - Sydney boasts a fantastic 'to do' list of inner city standouts, including dazzling shopping and a galaxy of incredible restaurant and night spots. Sydney is the capital that every other Australian city loves to hate, but what that really means is that they all want to be just like her: sun-kissed,sophisticated, and supremely self-confident. 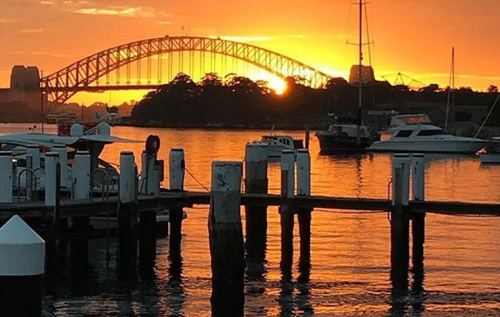 built around one of the most beautiful natural harbours in the world, she has three of Australia's major icon - the harbour bridge, opera house and Bondi Beach - and her attraction definitely don't stop there. 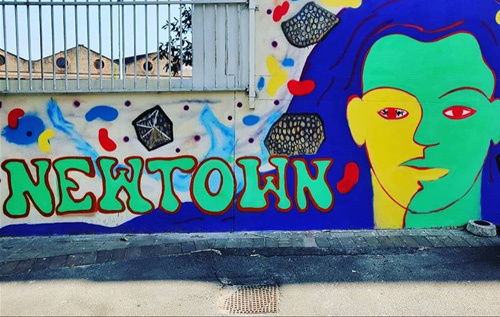 this is the country's oldest, largest and most diverse city; home to magnificent museums, even more magnificent beaches and an edgy multiculturalism that inject colour and vitality into her inner neighbourhoods and other suburbs. You've hired a campervan in Sydney, so why not take advantage of the fact! Of course you'll want to see the Harbour Bridge, the Rocks, Bondi Beach and the CBD, but there's so much more as well! And by hiring a campervan, you've opened up a world of possibilities! Oxford Street is home to dozens of boutiques, galleries and cafes. It is at its most vibrant on weekends, when the Paddington Markets are in full swing. Excellent bookshops, lively cafes and some great weekend markets here. Glebe is one of Sydney's oldest suburbs, formerly a working-class area, it is now full of historical building, great restaurants and lush greenery. 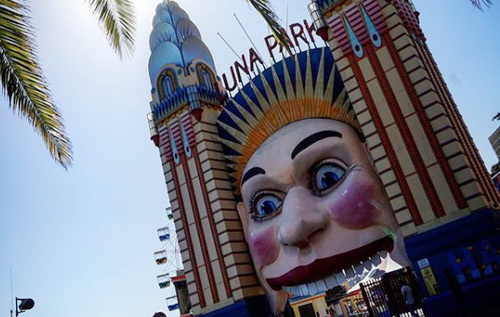 Park your campervan somewhere safe & cheap, then catch a ferry from Circular Quay and see what all the fuss is about at this iconic seaside town. For around $5 the ferry gives you one of the greatest views in Australia, taking in the harbour bridge and opera house as well as Sydney's picturesque harbour landscape. Get the camera ready! A suburb with a funky, alternative feel - visit in the afternoon and early evening when King Street really comes alive! A beer in the sun on the balcony of the Newtown Hotel is a must! 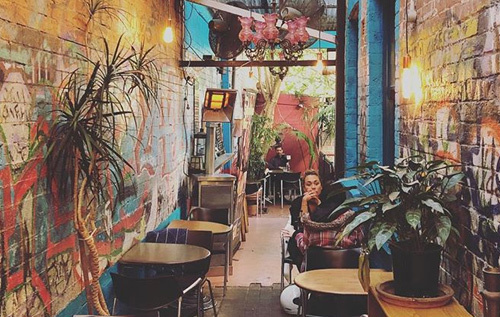 Visit the Saturday markets, the pubs, cafes and shops along Darling Street, and you'll understand why so many of the up-and-coming are moving this way. Views of the harbour bridge can be spectacular around here, so cruise around in your campervan to find the best viewpoints. We agree, it's a bit of a trek, but you'll stop whining when you catch your first glimpse of its incredible beach. 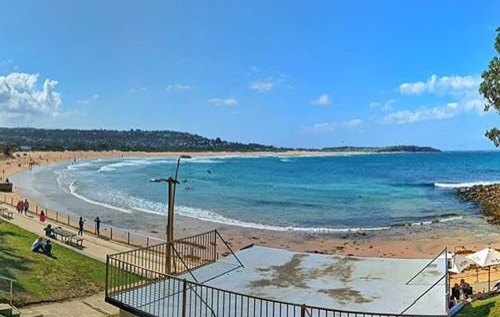 Keep going around the peninsula to take in the superb coastline called the 'Northern Beaches'. Just watch out for parking inspectors around the beachside car parks, the fines can be hefty - so check signage before parking your campervan around these parts. 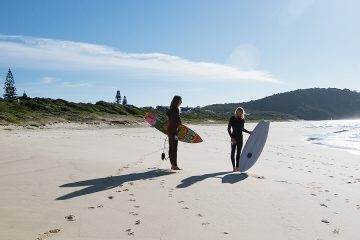 New South Wales fulfills every backpacker's wish list - and then some! It is the ultimate campervan hire destination! 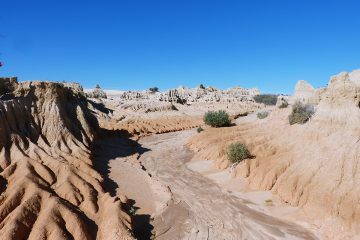 Lush rainforests, spectacular beaches, majestic snowfields and the rugged beauty of the outback all compete for your attention. 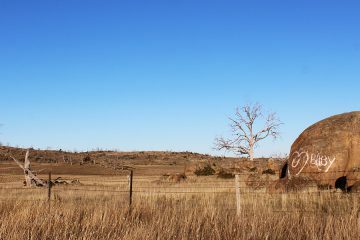 New South Wales is also guardian to some of Australia's earliest history, both European and Aboriginal. 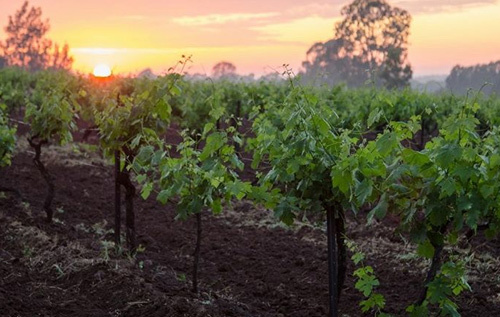 Time-conscious travelers will be delighted with the fantastic weekend getaways within easy reach of Sydney, like the Blue Mountains, Wollongong, Northern Beaches and the Hunter Valley, while those with time to linger can wander every inch and won't be disappointed. Set in the Blue Mountains, just 2 hours by train or a 90-minute drive if you've hired a campervan, these three rock formations are the impressive, eroded remains of a giant plateau cliff-face that emerged from a river delta a mere 80 million years ago. 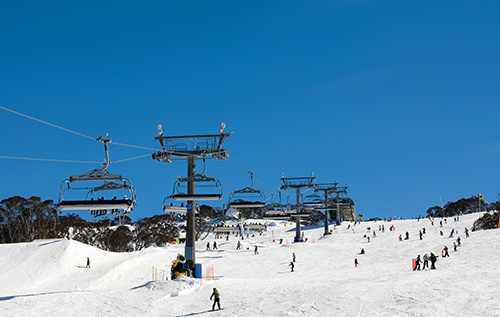 Kosciuszko National Park is a year-round wonderland of bushwalking, skiing, whitewater rafting, kayaking, horseriding, caving...and the country's highest mountain, Mount Kosciuszko, is just waiting to be conquered (and it's pretty easy!). 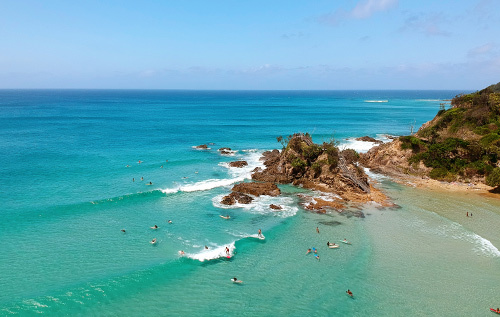 A laidback and environmentally 'tuned in' culture, together with exquisite beaches, make Byron Bay a magnet for visitors. 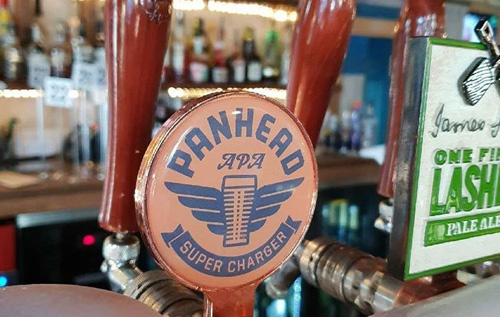 It's the closest thing you'll get to the free-loving 60's in Australia! Over 160 cellar doors are open and waiting for your taste buds. Be prepared for wine and local cuisine that will knock your socks off. 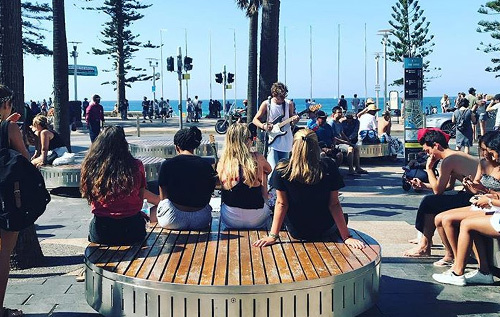 If you're in the area, don't forget to cruise to nearby Newcastle in your campervan - this 'steel city' has a vibe that is distinctly unique, and the beaches are pretty damn nice too! 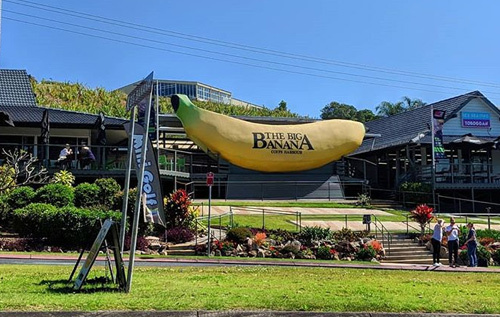 It's a little tacky, but if you're on a campervan hire roadtrip along Australia's East Coast, then you simply must stop off in Coffs Harbour for a quick photo in front of the ionic 'Big Banana'. You really can't miss it, heading north towards Brisbane on the Pacific Highway, it'll be right there on your left! About 850kms north of Sydney along the Pacific Highway. Hire a Campervan in Sydney from $29 Per Day and explore Australia's beautiful East Coast! 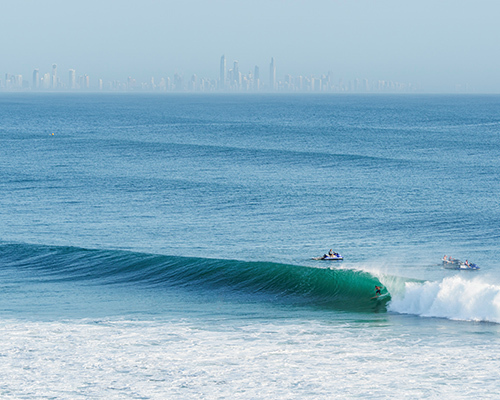 About 120kms west of Sydney - you should be there in under 2 hours. 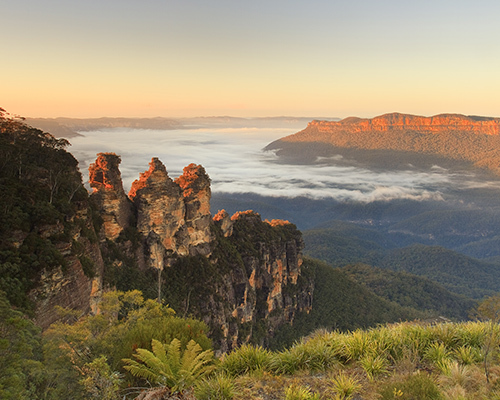 Katoomba is your gateway town to the iconic Blue Mountains and the majestic Three Sisters rock formation. On a clear, sunny day, the views looking across the Blue Mountains is incredible - with natural waterfalls and endless greenery. 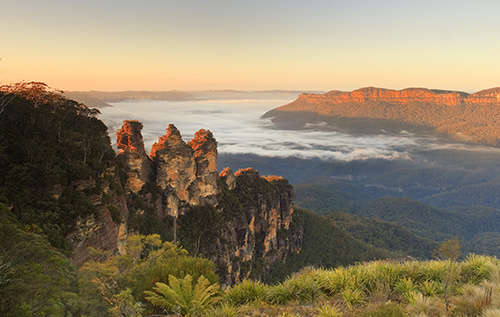 The Blue Mountains are close to Sydney and an ideal destination for a day trip of weekend getaway from Sydney. Hire a Campervan in Sydney from $29 Per Day and explore Australia's beautiful Blue Mountains!